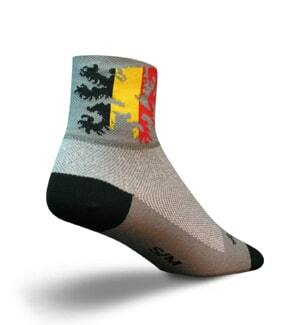 We make no bones that we love our socks and are big fans of sock doping. It’s a great way to add a bit of colour to your kit and express a little individuality. 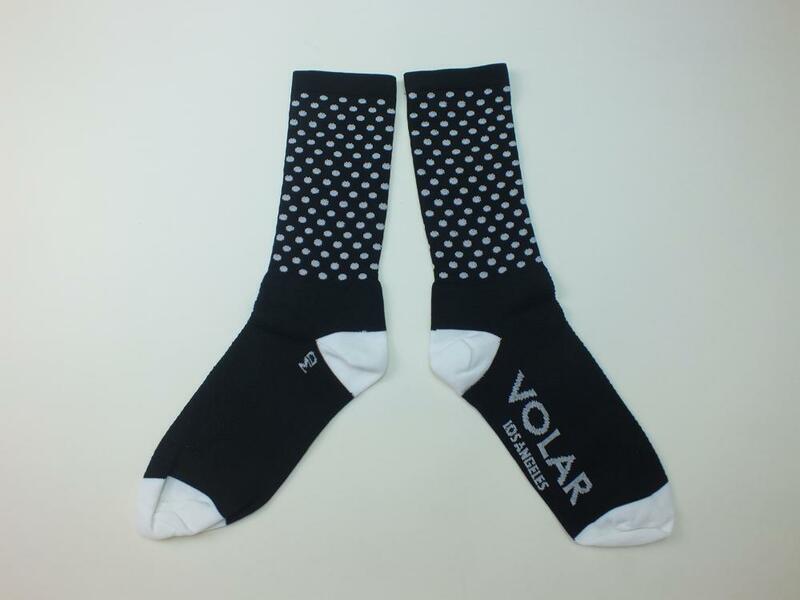 A small Los Angeles brand, Volar, recently came onto our radar and we thought that their range of socks was something we really ought to have in our inventory. 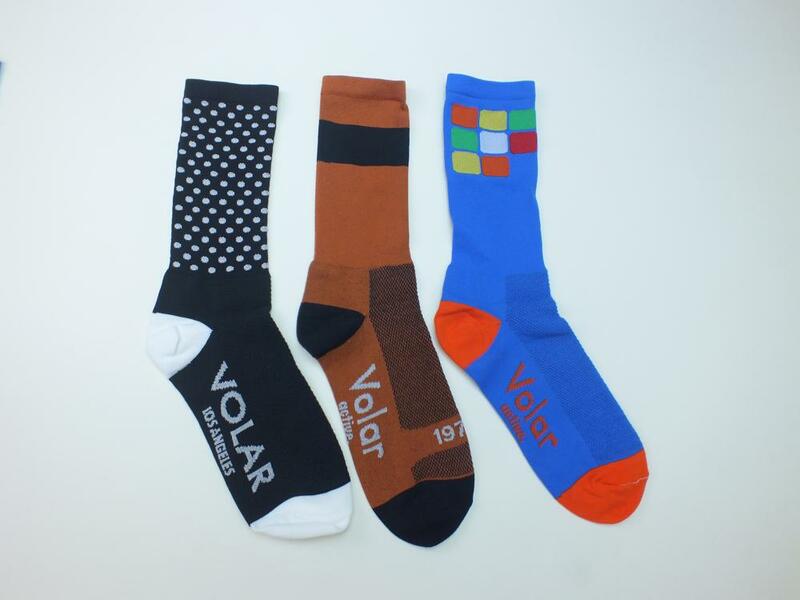 In English, volar is part of our anatomy, referring to the palm of the hand or the sole of the foot. In Castilian, it means to fly. Every now and then we see a brand that pushes things to a different level. Sockdoping has been around for a year or two now. We find it a great fun way to express yourself and an antidote to the trend for muted jerseys with conservative designs. Many of our favourite brands, including Handlebar Mustache use geometric patterns with strong colours to come up with some spectacular sock designs. Pacific and co do things a little differently. The brand was founded in 2013 by Aixa Sanuy and Lidia Ansio in Barcelona. As well as using traditional geometric patterns, Pacifico use artwork inspired by nature and everyday objects for their designs. One of the trends that seems to be taking off in the UK cycling scene is sock doping. Like many things to do with bikes, cyclists can spend hours debating the subject of socks – black or white, under or over leg warmers, length.. it can take up most of a cake stop if you are not careful. There is an UCI rule regarding socks that was introduced in 2012: Socks used in competition must not extend above the middle of the leg. For many riders this would be a no-no anyway as the use of compression socks whilst riding has never really caught on (unless you are a fan of swimming before you ride and running afterwards). 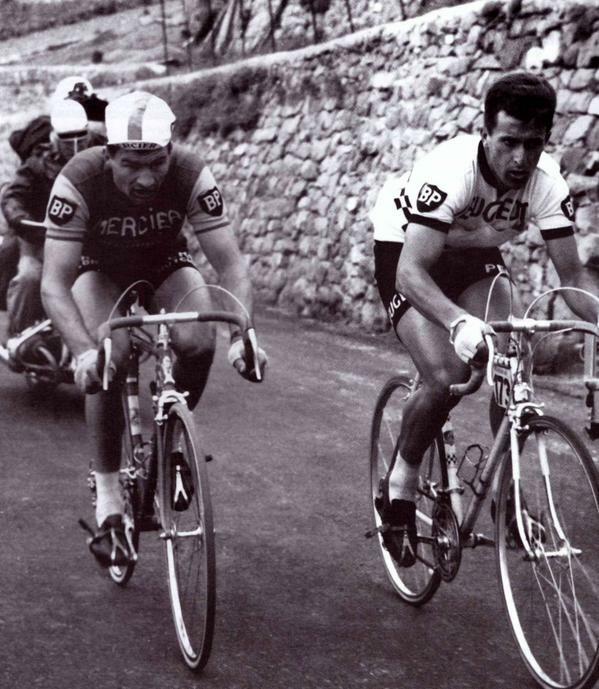 Raymond Poulidor and Tom Simpson wearing white. 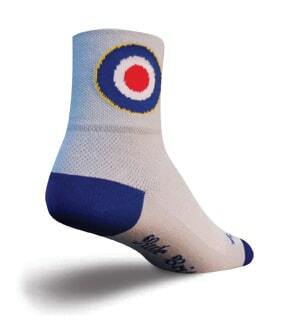 Socks are however a great way to show a little individuality whilst you are out riding your bike. Gone are the days of the choice being black or white socks – it used to be said that black socks were for training and white for racing, now there are a whole palette of colours and designs to choose from. Y’all act like you’ve never seen a pair of white socks before. 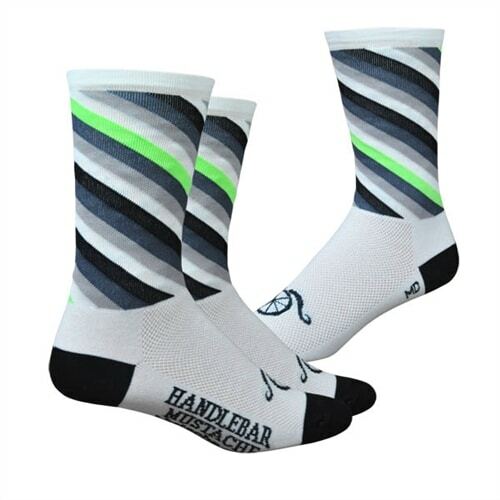 We have just started stocking a range of socks from Colorado based company Handlebar Mustache. The brand fits in well with Velotastic’s ethos of stocking apparel that you don’t normally see in your local bike shop. 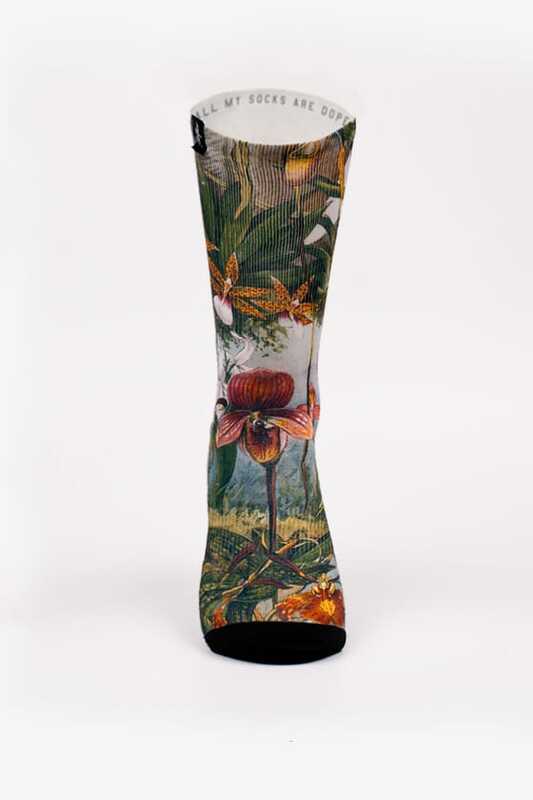 Handlebar Mustache socks are made in the USA and come in a variety of designs. 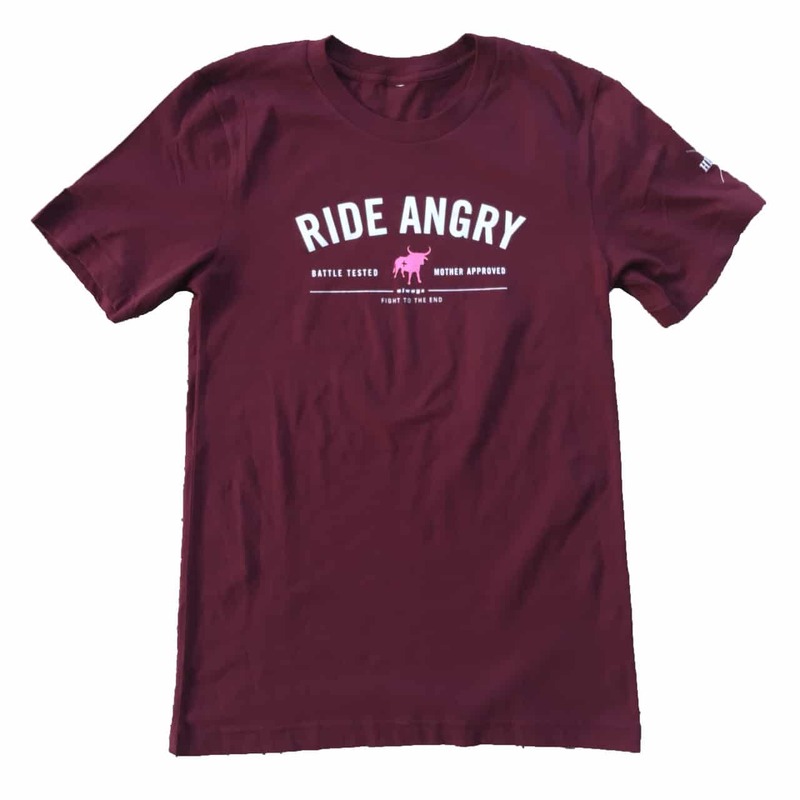 The brand also screen print there own t-shirts that are great to wear when you are off the bike. 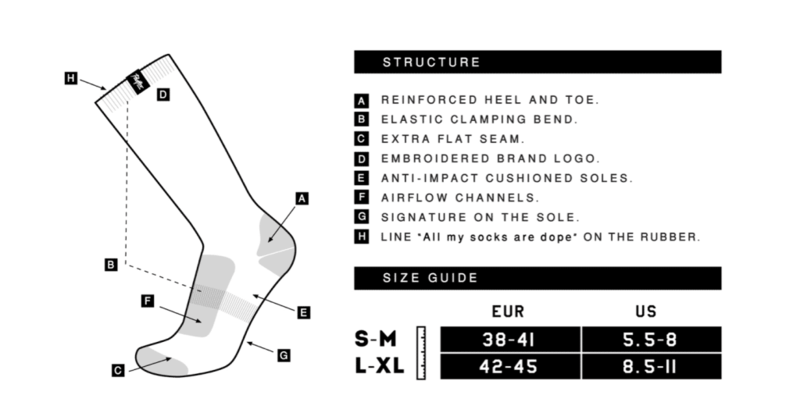 In these days when many in cycling have adopted the unofficial ‘rules’ socks and its associated sartorial minefield, socks are a great way to put your own mark on what you wear and stand out from the crowd. 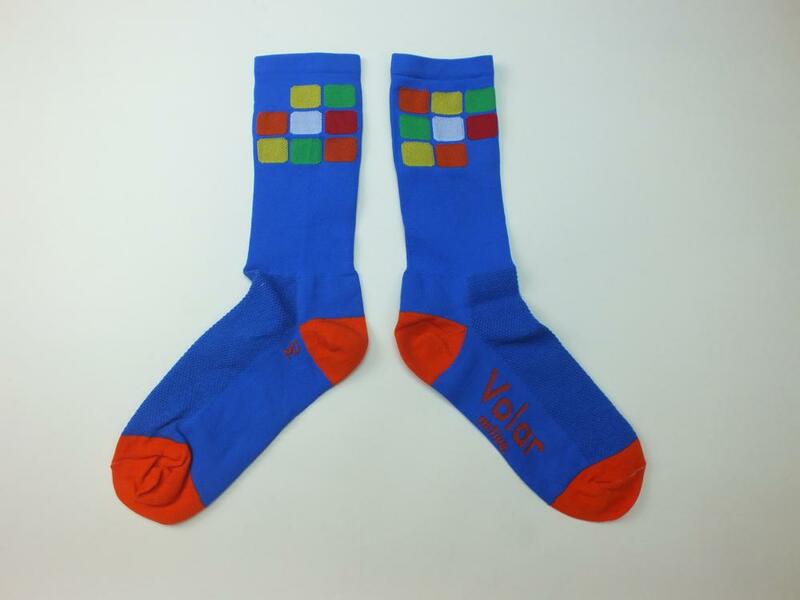 We’re pleased to announce that we are now stocking SockGuy socks. 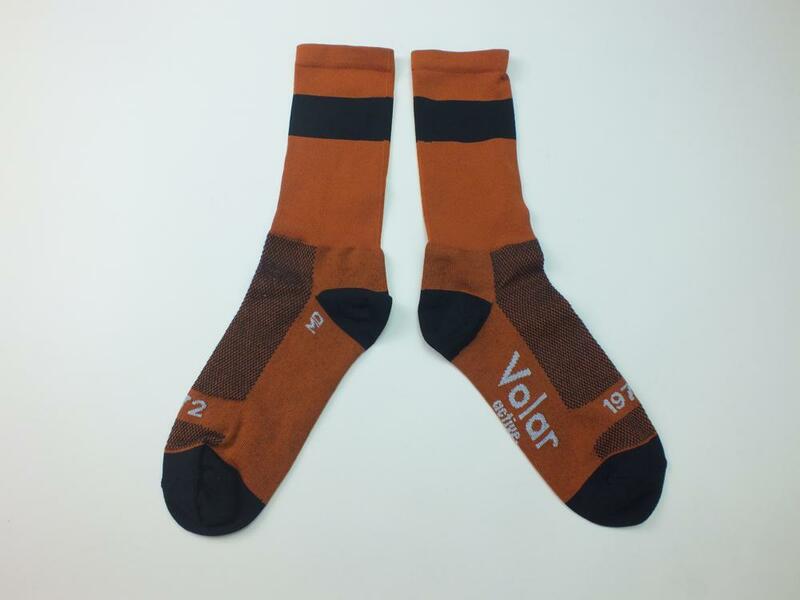 Socks are not the first thing that you think about when putting on your cycling kit, but can make all the difference on longer rides as a comfortable pair of socks avoids sweaty feet and blisters. 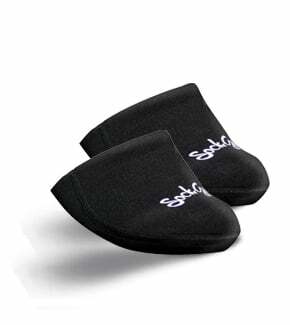 As well as socks we are carrying SockGuy Cozy Toes to covers. These neoprene covers fit over then end of your shoes (you hook them over the back of your shoe cleat to keep them on) and they keep your toes cozy (as the name implies ! ).